We are located just 2 miles away from beautiful Giant City State Park in Carbondale, Illinois, on Giant City Road. 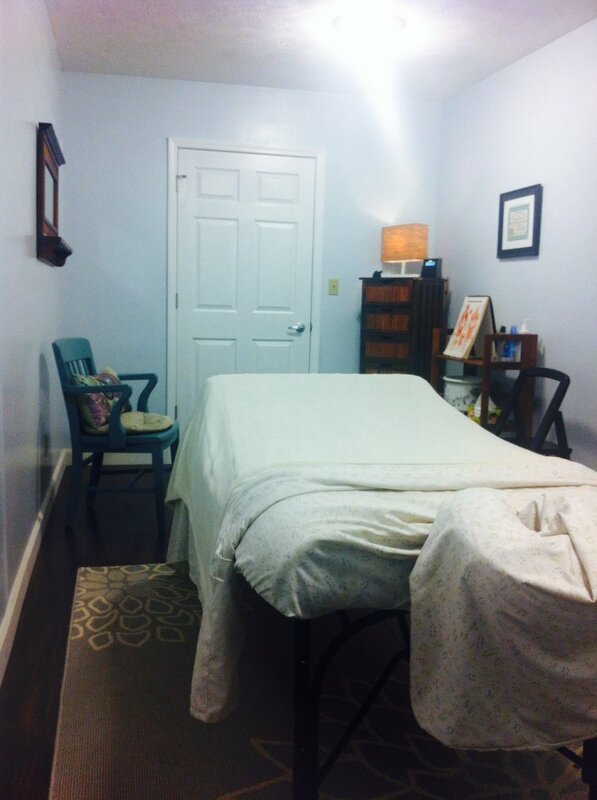 Our cozy boutique massage salon features two massage rooms—our primary room features space for couples massages and has installed ashiatsu bars for “barefoot” massage. 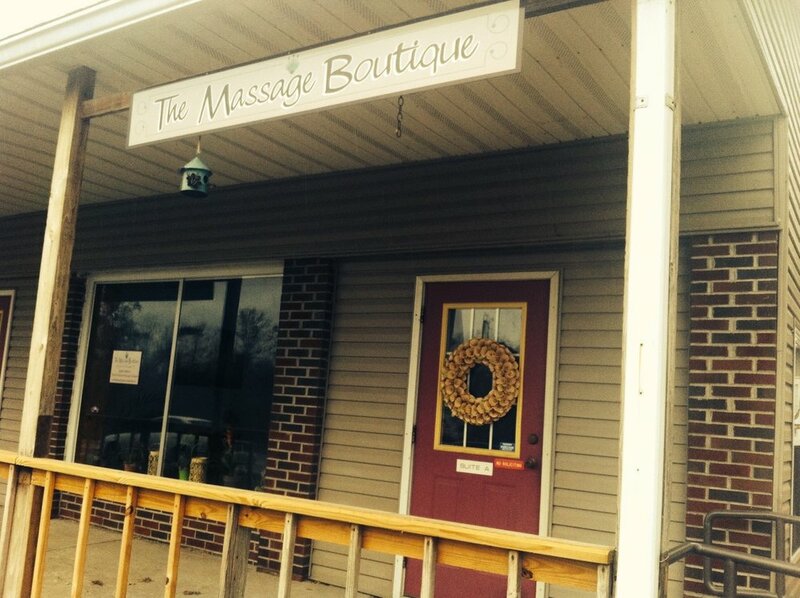 We provide heated massage tables, filtered water, and upon request, warm towels, robes, and essential oils. Dim lighting from Himalayan salt lamps and candles provide a relaxing atmosphere once you enter one of our rooms, and we play peaceful instrumental music and nature sounds throughout your stay. 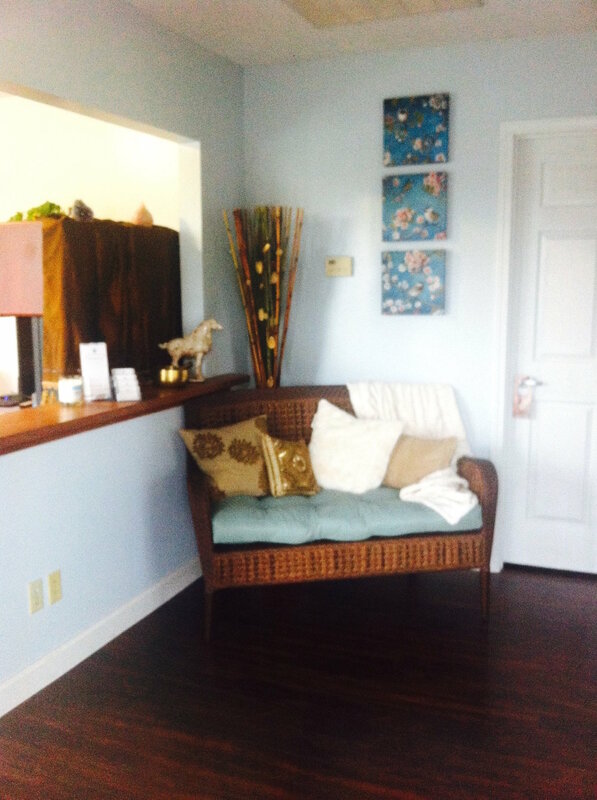 You are free to sit and relax in our lobby before or after your massage to read through our inspirational books or look at our mini shop of oils, creams, and small health accessories. Treats on special occasions, like Valentine’s Day!